BANGKOK — Asian stock markets mostly advanced Tuesday as Europe prepared to make good on its pledge to provide another installment of emergency aid to keep Greece from tumbling into insolvency. 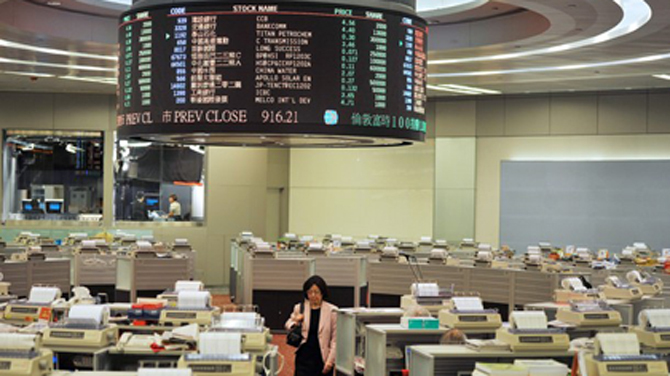 South Korea's Kospi added 0.2 percent to 1,922.05 and Hong Kong's Hang Seng was 0.7 percent at higher 19,822.91. Australia's S&P/ASX 200 gained 0.5 percent to 4,294.30 while Japan's Nikkei 225 index fell 0.2 percent to 8,751.86. Benchmarks in Singapore, Taiwan, Malaysia, Indonesia and mainland China rose. Wall Street finished higher Monday on news that Greece would receive the latest installment of emergency aid as long as the country's two main parties commit to implementing economic reforms agreed to by the country's previous government. The Dow rose 0.7 percent to close at 12,068.39. The Standard & Poor's 500 index rose 0.6 percent to 1,261.12. The Nasdaq rose 0.3 percent to 2,695.25. Even as Greece's economy remained on life support, worries began to surface about Italy, where the prospect of financial disaster was real because of Rome's huge debts and slow growth. Unlike Greece, Ireland and Portugal — the three countries that Europe has already bailed out — Italy's economy could be too large to rescue. Soaring borrowing rates in the past week have intensified pressure on Premier Silvio Berlusconi to resign. The yield on Italy's 10-year bonds jumped Monday to 6.67 percent, drawing uncomfortably near the 7 percent threshold that forced both Ireland and Portugal to accept bailouts. "Traders do not want to see yields advance to 7 percent and above, after the fate suffered by the likes of Greece, Ireland and Portugal when their yields rose to those levels," Stan Shamu of IG Markets in Melbourne wrote in a report. Investors want the Italian government to quickly pass measures to boost growth and cut debt. But defections from Berlusconi's coalition government mean he no longer commands enough loyalty to pass the reforms. In Tokyo, embattled Olympus Corp. plummeted 28 percent amid reports it had admitted wrongdoing in a scandal over huge payments for financial advise, Kyodo News Agency reported. In energy trading, benchmark crude for December delivery was up 13 cents at $95.65 in electronic trading on the New York Mercantile Exchange. The contract rose $1.26 to settle at $95.52 in New York on Monday. The euro was higher at $1.3768 from $1.3761 on Monday in New York. The dollar was little changed at 78.02 yen.